LAS CASAS FILIPINAS DE ACUZAR see this LINK for more info. One of the best places I have been in the Philippines. It tells of what happened in the past in each heritage houses and every walls hides some secrets, passions and sacrifices in the Spanish era (history link). It may look serene, but people in this era experienced a lot of hardships and inhumanity from Spaniards. This is the history of the Philippines that you may learn to know once you walk and admired each houses in this heritage site. First, going there from Manila takes 3-4 hours of traveling by bus or by car depends on the traffic. From Manila to Balanga, then Balanga to Bagac. A town where you can find Las Casas. Be prepared for some rough roads but your hardships will be worthwhile. Each houses had some stories to tell. Some you will laugh and be intrigue. But all of them are such a sight to behold especially when you get inside and see how they live in the past. You can see the rich culture and some I can still remember in my younger days playing outside where there’s no gadgets to focus or get addicted on to. Come night-time you can still admire these houses though it may look like hunted but never fear as there are so many people walking at night and enjoying the breeze outside after dinner. Yes some houses you can rent but it will cost you, be prepared. You will be amazed that this heritage site has a beachfront with a beautiful sunset too! After our stay in Las Casas, we went back to capital province of Bataan which is Balanga. It is also a nice place to go around on or before going to Mt. Samat. Unfortunately, we didn’t get the chance to go to the mountain to see more touristy spot. We had a great time and enjoyed some rich history of this province named Bataan. If you are coming for a visit in the Philippines make sure you include this to your trip. It is a bit pricey but it is worth it. 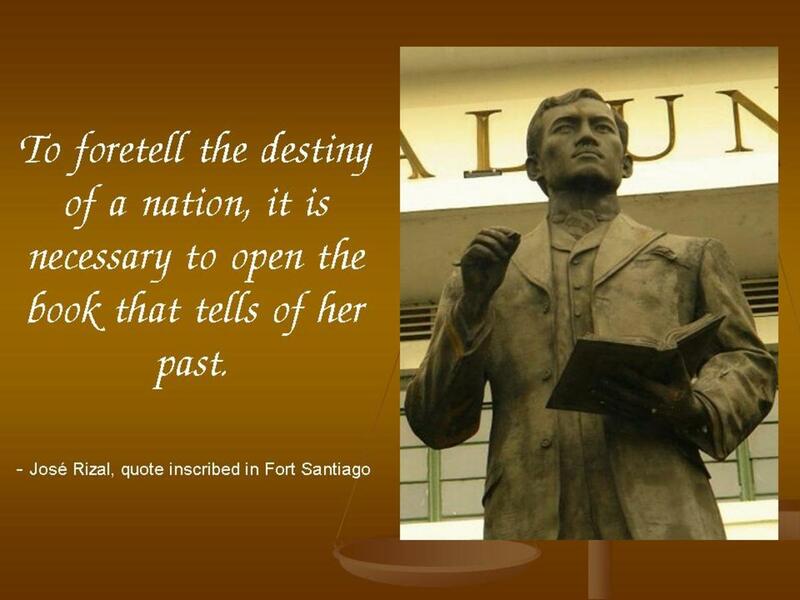 Now I leave you with the famous quote of JOSE RIZAL, Philippine National Hero. Yes it may be a bit pricey but it`s worth it. They have special prices this rainy season if in case it`s a good day then grab it. Thanks for following, appreciated. I have a new post today, currently in Switzerland. Very nice article keep it up the good work. Thanks for reading & commenting appreciated. I like the place very much. Thanks Sue yes please let her know about this place. I am sure she will love it there. Wow looks absolutely beautiful my friend is going to Manila in September so I am just about to send her your post. Thanks so much Vinneve.